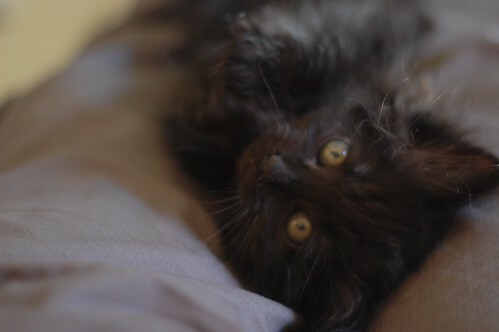 Sweet Marie-Noire, wispy little beauty, is always happy to spend some time in your lap. Your a cuddler huh? Love kitties who are cuddlers! Ohhh..I would so, SO love to have her. Good heavens, the floof is wonderful. 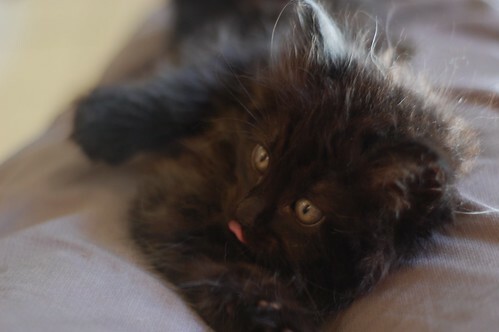 I am entirely at the mercy of the charm of Marie-Noire's teeny tiny tongue. Tres belle!